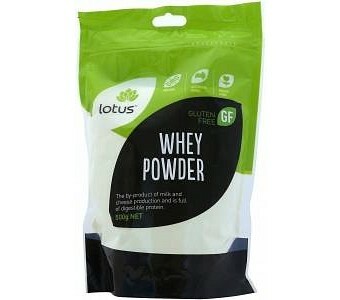 Lotus Whey Powder is the by by-product of milk and cheese production and is full of digestible protein, and potassium. Whey Powder also contains soluble fibre and mineral electrolytes making it a great source of energy and strengthening the immune system. It is perfect for athletes, or those that are after a highly concentrated, easily digestible protein powder. This product is gluten, nut, sugar, soy and GMO free.